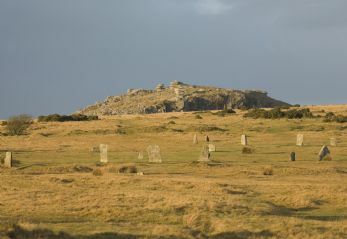 Discover places to see and things to do whilst in and around Warleggan, Cornwall to truly enhance your stay come rain or shine! Head to the Coast! Whether you want to explore the foodie capital of Cornwall – Padstow, Boscastle In October the Boscastle Festival of ‘Real Food’, Arts & Crafts and the April Boscastle Walking Week are hosted here. This beautiful location has also been used for filming many productions such as Doc Martin and Saving Grace or take to the waves at Bude, from your central location you’re within an hour of the best of Cornwall’s beaches. Don your walking boots There’s so much to see locally! Pixie Nook is ensconced in truly beautiful scenery and truly breath-taking moorland or woodland walks, alongside streams directly from the cottage... don't forget your picnic! Within 30-minutes of the cottage there's Cardinham Woods, a tranquil setting as perfect for hikers as cyclists. A must-visit for nature lovers is Herodsfoot Deer Park where you need to keep your eyes peeled for red and roe deer that live in and around this trail. Lanhydrock House & Gardens Visit this truly magnificent late Victorian country house, explore the woodland gardens strolling around the extensive grounds and enjoy their year-round colour. Giddy Up Have you ever dreamt of galloping across golden sands through crested shore-breaks with the wind in your hair and sea-spray on your face? Why not make this dream a reality whilst staying at Pixie Nook? 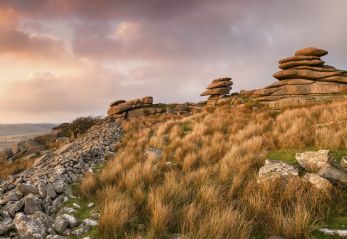 Enjoy a Poldark adventure upon the vast rugged moorland of Bodmin moor - a dramatic backdrop for hacks and ride outs too. Camel Valley Vineyard Enjoy a blissful afternoon at the Camel Valley Vineyard, Cornwall's largest vineyard, situated on the slopes above the River Camel these award-winning, world-class wines have been produced in north Cornwall since 1989. 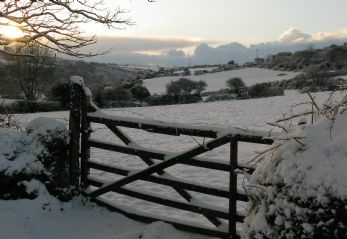 Located in an idyllic setting on sun-drenched slopes near the famous Camel River near Wadebridge in north Cornwall.